A peroxide for which each oxygen atom is connected to an acyl group. Acyl peroxides are often used as radical initiators, because the O-O bond is especially weak. Because the O-O bond is weak, acyl peroxides are often used as radical initiators when exposed to heat or light. 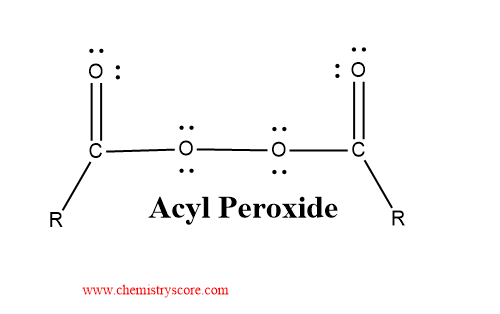 The key identifier of an acyl peroxide are the two acyl groups attached to the O-O bond.